Preheat Oven to 400 degrees Fahrenheit.Peel Green Apples. Core apple and thinly slice apple in ⅛ inch slices. Place on baking sheet. Sprinkle with brown sugar and cinnamon. Place in oven and bake for 10 minutes. Heat frying pan to ,medium high.Meanwhile follow instructions on box to make pancake batter, to make about 10-12 pancakes. Add 1 TSP vanilla extract, 2 TSP cinnamon and all spice and mix together. 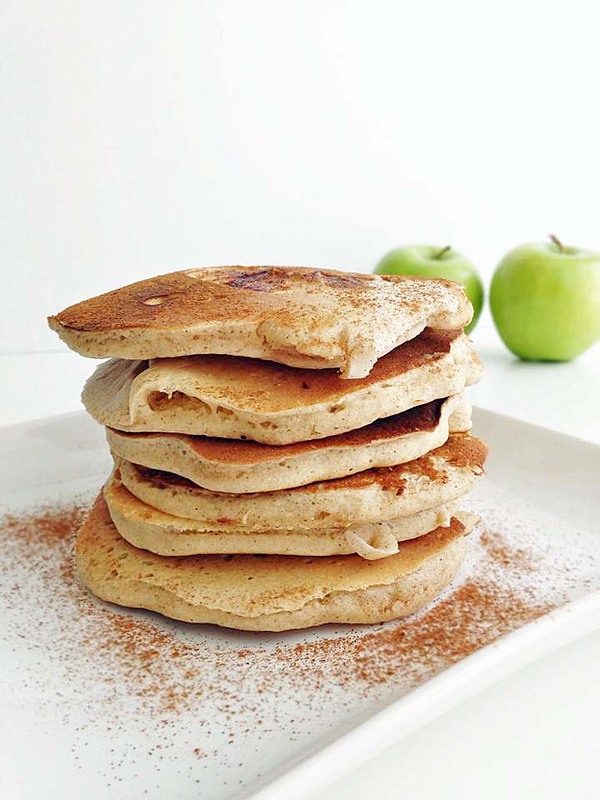 Scoop about ¼ cup batter onto frying pan and quickly place 2 slices of apple onto pancake. 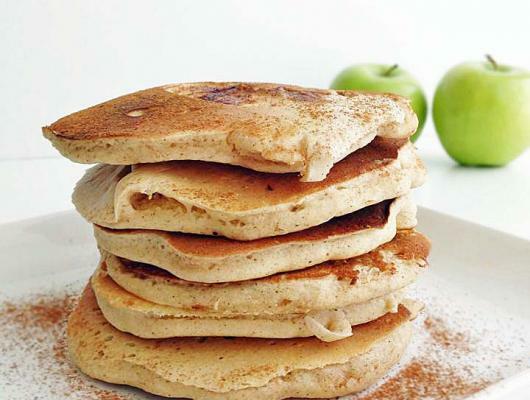 Cook pancake until golden brown, about 30 seconds. Flip over and cook until golden brown on the other side. Serve and garnish with more cinnamon and whipped cream.